For some reason many Moshaich blogs are expecting something big to happen this Rosh Chodesh Sivan (Gemini), in 2 days time. This is just a quick note before Shabbat to let you know that we’re keeping all of you in mind. This weekend, the 44th day of the Omer will be upon us and we’ve written numerous times this past year about the relationship of the number 44 and the 10 plagues and Israel. For those that haven’t read it, at least you should know that the ordinal value of the initials of the 10 plagues adds up to 44, the numerical value of the first plague, Dam (blood) and that the sum of the standard gematria value of those same initials adds up to 541, that of Israel. Now, oddly enough, when we add up the gematria sofit value of the 44 letters in the central trunk of the menora that forms Psalm 67 that we count on each day through the 44th day of the Omer, they add up to 5708 exactly, the year Israel became a nation (1948 CE). 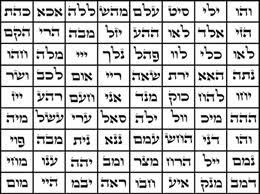 And all 49 letters of the full Omer counting equal 5778 + 73, or the year the tzaddikim have prophesied for the manifestation of Moshiach plus the value of Chochma (wisdom). And as we previously discussed, the counting of the Omer is analogous to the counting of the jubilee years (50 year interval) until the arrival of Mashiach, and there are exactly 66.6 jubilee years from the reception of the Torah in 2448 and 5778. So as we count the last few days before the great revelation of light on Shavuot, when we once again receive the Torah, let’s keep our kavanot (focus) on removing all the negativity, blockages, aspects of death and judgment in our lives and in our souls that would prevent the revelation of Moshiach in our world. And remember (see previously articles on the Omer), the energy and spirit of Rabbi Shimon Bar Yochai is still with us to help us in our task. By the way, the 44th day of the Omer is Rosh Chodesh Sivan. The Mexican Flu: The Second Plague? Some are suggesting the Mexican Flu is the second plague. Who is to say? It might even be the third with the first two being different (and very ongoing) aspects of the current financial crises. There are some interesting coincidences though. But first of all, let’s be clear: The Mexican Flu is for real. There are millions of Mexicans staying home and off the streets right now and it’s not from hysteria. There is an alarming large rate of healthy people dying in Mexico after contracting this highly contagious version of swine flu AH1N1. And all the signs point to this being the one, just like its predecessors in 1918, 1957, and 1968 that killed millions of healthy people. Here in the US, we first learned of this pandemic on Saturday (Shabbat) when the NY Times published a front page article explaining that 61 people had died already in Mexico. Obviously that number 61 was shifting and by Sunday it was 81 and then over 100 by Monday; nevertheless the published figure on the Shabbat that we read the portions Tazria and Metzorah, where we discussed plagues (nega) and their spiritual causes, it was 61. Now, back in our articles on the 10 plagues we revealed that the sum of the first letters of all 10 plagues was 541, the numerical value of Israel, and so it’s mighty coincidental that this week we have the 61st anniversary of Israel. But of even further coincidence is that the dates of the previous swine flu epidemics vis-a-vis 5778, the date given by the tzaddkim (righteous) for the geula (final redemption) are the Spanish Flu in 1918, exactly 100 years before (2018 CE) 5778; and the Hong Kong Flu in 1968, exactly 50 years prior to (2018 CE) 5778; and the Asian Flu in 1957, which is exactly 61 years prior to (2018 CE) 5778. As of today, Monday, the Mexican flu strain has spread to NY, TX, CA, KS,, OH and to both coasts of Canada. 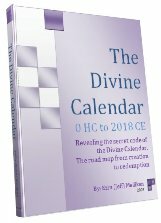 If this is the big one, it will be the 4th in the final 100 hundred years, the first one having occurred exactly 2 jubilee years before 5778 and the last one, having occurred exactly 1 jubilee year, out of the exactly 66.6 jubilee years (50 year interval as spelled out in the Bible) between the Exodus (10 plagues) in 2448 and 5778. All together, vis-a-vis 5778, the 3 deadly pandemics occurred 2 + 1.22 + 1 = 4.22 jubilee years before 5778, and 422 as readers of The Divine Calendar know, is the numerical value of “seventy,” as in the 70 years that Israel will celebrate in 2018 CE (5778). And if in this year of our 44th US President, who had just held court in Latin America, the Mexican Flu of 2009 is the 4th one, then all 4 deadly Flu epidemics will have occurred exactly 4.4 jubilee years before 2018, with 44 being the value of the first plague, dam (blood), and also the ordinal value (placement within the Hebrew alphabet) of the initials of all 10 plagues. 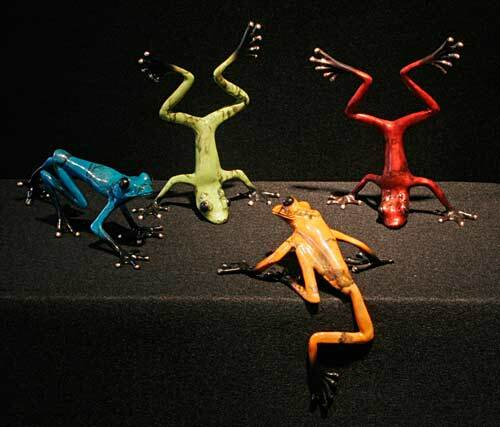 The 2nd plague by the way, was frogs (tzarfdea) of numerical value 444. You can decide for yourself if there are any connections. Back in 1918, between 20 and 40% of the world became infected and 25 million or more people died; today, our scientists and medical staffs are much better prepared. In this week that the 61st anniversary of Israel is celebrated and the 4th epidemic of swine flu was announced and pronounced to the world, it’s interesting for Torah scholars and kabbalists alike that the Hebrew word plague (nega, NGA) is repeated 65 times (or 61 + 4) in this week’s double reading. But what’s better than interesting is that the Arizal and tzaddikim have provided us a spiritual antidote for plagues hidden within the 42-Letter Name of G-d (Ana B’koach or Genesis Prayer), but more about that in out next article. 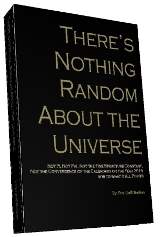 Author Jeffrey MeilikenPosted on April 27, 2009 Categories RevelationsTags 10 plagues, 1918, 1918 flu pandemic, 1957, 1968, 2018, 2018 ce, 42-letter name, 422, 50, 541, 5778, 61, 666, Ana B'Koach, Asian Flue, Canada, Hong Kong Flu, Influenza, Israel, jubilee year, Latin America, Mexican Flu, Mexico, Pandemic, spanish flu, spirituality, swine, swine flu, Swine influenza, wall street bonuses1 Comment on The Mexican Flu: The Second Plague?